In one lifetime we have lived through lightning changes in standards and morality, affecting our journalism and our politics. In the context of the press’s struggle to cover the world of Trump and beyond, it’s important to recall that Murrow, in his memorable 1954 See It Now broadcast about Senator McCarthy, helped bring an end to a political crusade that was frightening the American people and undermining American democracy. He exposed McCarthy as a lying charlatan who deserved the Senate censure he was to suffer a few months later. Though many other reporters covered the same story, only Murrow will likely be remembered as the one who had the courage to take on a senator widely considered to be a danger to the republic. In American history, few other reporters have played so prominent a role in ending a national nightmare. Walter Cronkite, another of CBS’s twinkling stars, whose even- handed anchoring of the CBS Evening News won him the title “the most trusted man in America,” did a commentary about the Vietnam War in February 1968 that helped persuade a president not to run for reelection and a nation to change its war policy and, ultimately, begin to withdraw. A month earlier, the North Vietnamese had launched their consequential Tet Offensive. From one end of South Vietnam to the other, they attacked South Vietnamese and American troops and bases, even invading the once- hallowed grounds of the U.S. embassy in Saigon. To say President Lyndon Johnson was stunned by the news would be a glaring understatement. His intelligence chiefs had assured him that the communists were losing the war. General William Westmoreland, U.S. commanding general in Vietnam, had told Congress a few months earlier that he saw “the light at the end of the tunnel.” When, after Tet, Westmoreland approached Johnson with a request for an additional 206,000 troops, Johnson, who had always said yes to his commanding general, now snapped “no,” not only to the request but to his own plans for reelection. The war proved to be too much, even for this rugged Texan, and he decided on the spot to end all political games— he would not run! Behind his fateful decision was the amazing story of a Cronkite commentary and the impact it had on a president. It could be said that Cronkite was “disillusioned” with the war from the very beginning. “Disillusioned” was the word he used in his memoir, published years later. But, on air, when he anchored the top-rated CBS Evening News, he was always meticulously fair, the impartial newscaster, never an editorial grimace or nod of approval, never a word suggesting an opinion. Eric Sevareid did the commentary. “Uncle Walter” did the news. “And that’s the way it is,” was Cronkite’s closing signature every evening. That was what many viewers had come to expect. With the Tet Offensive still hot news, splashed all over the front pages, Cronkite asked CBS president Richard Salant if he could go to Vietnam and do an “assessment” of the war as someone who had not “previously taken a public position.” Salant nodded, and Cronkite left that night. This was not his first war; Cronkite had covered World War II. In Vietnam, after talking to American and South Vietnamese generals and to the troops, he found he could reach only one conclusion: “There was no way that this war could be justified any longer,” he said. After a few days, Cronkite flew back to New York, where he anchored a special report, aired on February 27, 1968, about the effect of the Tet Offensive on the war. He was gloomy, clearly disturbed by what he had seen, and he closed his report with a commentary, so labeled. Only twice before had he done a commentary, and the anchorman justified both by saying they focused on a defense of a free press. This one was different. This was Cronkite giving his personal opinion about one of the most controversial issues of the day— the war in Vietnam. 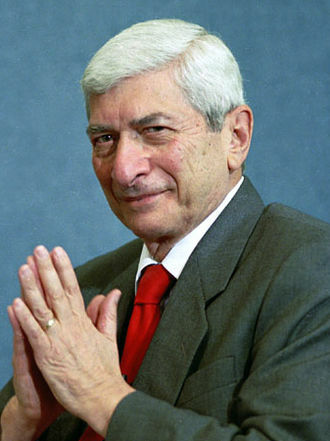 Salant warned America’s “most trusted man” that he could be jeopardizing his reputation, CBS’s as well, and, given the public’s sharply divided opinion about the war, he could also be risking the loss of many viewers, thereby hurting CBS’s bottom line. (Murrow had considered the same possibilities when he did his McCarthy broadcast fourteen years earlier.) Cronkite listened carefully to Salant but decided he had to go forward and express his opinion about the war. It was his journalistic obligation, he felt. Cronkite explained on air that he was doing a “commentary” on the war. He wrote it himself. “To say that we are closer to victory today,” he said solemnly, “is to believe, in the face of the evidence, the optimists who have been wrong in the past. To suggest we are on the edge of defeat is to yield to unreasonable pessimism. To say that we are mired in stalemate seems the only realistic, yet unsatisfactory, conclusion.” Cronkite paused, looked into the camera lens, and, in an uncharacteristically soft voice, concluded, “It is increasingly clear to this reporter that the only rational way out, then, will be to negotiate, not as victors, but as an honorable people who lived up to their pledge to defend democracy, and did the best they could.” Cronkite clearly implied that if a stalemate was the “best” we could hope for, after having lost so many troops, spent so much money, and torn the country apart, then it took no special insight to believe that the United States could not possibly win this war, and therefore we ought to pull out of it. The public reaction to Cronkite’s extraordinary broadcast was amazingly unenthusiastic. Those who supported Johnson and the war were critical of Cronkite, but not overly so. Those who opposed the war applauded Cronkite, but again not overly so. It seemed as if the public was simply tired of the war, and Cronkite’s commentary did not move the needle decisively one way or the other. He didn’t call for an immediate withdrawal of American forces or for a dramatic escalation of the war. His instincts as a network anchor kept him close to the middle rail— a call to negotiate in the face of a stalemate. In this respect, even someone as revered as Cronkite probably came through as just another voice in the crowd. But, at the White House, Cronkite’s voice, always special, carried a powerful message. Johnson listened intently; what he heard stunned him. George Christian, his news secretary, and Bill Moyers, his personal assistant, were present when a shaken Johnson watched the program. “The President flipped off the set,” Moyers later recalled, “and said, ‘If I’ve lost Cronkite, I’ve lost middle America.’ ” Five weeks later, Johnson went on television in prime time to announce that he would not run for reelection and would begin to negotiate an end to the war— if possible on America’s terms. But Hanoi had other plans. Journalist David Halberstam, thinking about the impact of Cronkite’s commentary, later wrote that it was probably the first time in history that a network anchor declared a war to be over. But the war would not be over until 1975. Johnson did not live to see the end. He died in 1973. On June 17, 1972, a team of burglars was arrested for breaking into the headquarters of the Democratic National Committee at the Watergate complex in Washington. Two young reporters at the Washington Post, Bob Woodward and Carl Bernstein, soon began covering the story that led, in August 1974, to the first resignation of an American president and to profound changes in the nation’s politics. Would Richard Nixon have resigned anyway, even if Woodward and Bernstein had not applied their considerable investigative skills to breaking the Watergate story? I doubt it. Their remarkable run of one exclusive story after another kept a steady spotlight on the puzzling break- in: Who were the burglars? Who paid them? Why the Democratic headquarters? Was the Nixon White House involved? What was Nixon’s role? These questions framed the Watergate scandal, which will always be associated with the reporting of Woodward and Bernstein. Within a matter of weeks, the reporters learned that the grand jury investigating the break- in had sought testimony from two men who had worked in the White House— former CIA officer E. Howard Hunt and former FBI agent G. Gordon Liddy—thus linking the break- in to the White House. Soon Bernstein discovered in Miami that a $25,000 check for Nixon’s reelection had been deposited in the bank account of one of the burglars, suggesting the White House paid the burglar. How else would he have obtained the check? A White House lawyer, John Dean, observing the illegal shenanigans around him, privately told Nixon that, in his judgment, there was “a cancer on the presidency.” At first Nixon did not believe him. When he finally did believe Dean, it was too late to save his presidency. Watergate had quickly become a hot story, and, with Woodward and Bernstein, the Post had struck gold. 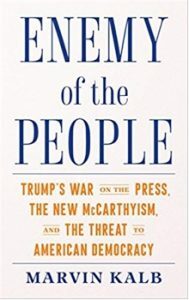 Their diligent, carefully researched stories, leading to journalistic prizes and a Hollywood movie, touched off a series of investigations involving Congress, special prosecutors, federal judges, the FBI, and the CIA that, by the summer of 1974, led to the inescapable conclusion that the president had lied in attempting to obstruct justice, and, if he wanted to escape impeachment, he would be wise to resign, which is what Nixon did on August 9, 1974. The possibility must be acknowledged that the Nixon administration might have been toppled even without the reporting of Woodward and Bernstein. Too many loose ends were being investigated. Too many insiders were talking. Perhaps more important, the Democrats controlled Congress, and they did not like Nixon. Other news organizations, including the New York Times and CBS, were also digging into the Watergate scandal and producing their own exclusives. “What did the president know and when did he know it?” was a question for discussion on Capitol Hill and across the country. Everyone was into Watergate. Everyone had an opinion. Well before Nixon announced his resignation, his days seemed to be numbered. Woodward and Bernstein deserve their pages in the history of American journalism. Their reporting contributed to the unraveling of the Watergate scandal, but, for the sake of argument, what if there had been a Fox News channel in the early 1970s? Dan Shelley, executive director of the Radio Television Digital News Association, has wondered whether Nixon, protected by a chattering conservative cable news channel, might have survived the scandal. Every evening, a Sean Hannity would have been arguing the president’s case. A Laura Ingraham would have been challenging the Post’s patriotism and criticizing Woodward and Bernstein as “liberal puppets of the anti- Nixon Democratic cabal.” GOP senators would have had a soapbox of their own to question press and TV coverage of Nixon. Fox would happily have joined with Breitbart and Limbaugh to create a dark Wagnerian opera of right-wing commentary that likely would have changed the political conversation and softened the impact of front-page Woodward- and- Bernstein stories. The embattled president would have enjoyed a measure of support from conservative media that in 1974 he surely did not have. And the result of the Watergate scandal might have been different. We’ll never know. What we do know is that much has changed in American journalism and politics since Murrow’s anti-McCarthy broadcast in 1954 (that’s sixty-four years ago), Cronkite’s broadcast in 1968 (fifty years ago), and Woodward and Bernstein’s reporting of the Watergate scandal from 1972 to 1974. In the intervening years, we have experienced at least two major revolutions that have transformed the practice of journalism— one on the business side and the other in technology. Since the 1980s, local newspapers and radio and TV stations, once owned by local businessmen and their families, have been snapped up by national media corporations far more interested in short-term profits than in public service. In the past, broadcast news was not expected to make much money, and it rarely did. Today’s economics, however, requires profitability, and this fundamentally changes the dynamics of the news business. Now it must make money or be discarded as a rusty wreck. Ratings (and profits or losses) now dominate conversation in and about the news business. CNN popped onto the scene in the early 1980s, disparaged in those days as the Chicken Noodle Network. It didn’t make money then; it does now— an estimated $1 billion in 2016. Fox and MSNBC joined the cable hit parade in the mid- 1990s. Within ten years, they too began to make money; within twenty years, lots of money. Since Trump arrived on the political scene, they’ve made tons of money. He has been their meal ticket— they knew it, and he knew it. Money, not quality, became the measure of journalistic success. Even journalists who knew better bent to the pressure. They had no choice. The other revolution, in technology, changed everything, so much so that now the broadcast networks have yielded to cable for most political news and commentary, especially in the evening, and newspapers have had to face the real prospect of soon terminating their print editions and then surviving, if possible, as websites in the new and highly competitive internet worlds of web and social media. Who would have imagined, even a few years ago, that a president would discuss vital issues of war and peace on his Twitter account? A president who would watch cable news four to eight hours a day? A president who would see a day at the White House as a reality TV show? A president who would turn a State of the Union address into a television show? Or a president who would attack the press as an “enemy of the American people”? Not Murrow, nor Cronkite, nor Woodward and Bernstein could possibly be re-created to cover the political wars of the Trump era. In one lifetime we have lived through lightning changes in standards and morality, affecting our journalism and our politics; and if we are all left a bit bewildered, that can be excused. In many respects, I add most reluctantly, journalism has become a form of entertainment, especially on television. Murrow could not survive today— probably not Cronkite either. There are many investigative reporters, maybe not as good as Woodward and Bernstein, but very accomplished nonetheless. Those who work for the New York Times and the Washington Post now perform the role Murrow played in the early 1950s. 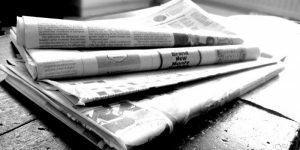 Other news organizations, such as Politico, McClatchy, MSNBC, CNN, and occasionally the Wall Street Journal, also come up with their exclusives, but they often follow the two print leaders. Murrow took on McCarthy, and won the day. Now, the Times and the Post take on Trump, though their editors deny that is what they are doing. “Just covering the news,” they say. In any case, the battle for truth is far from won, partly because journalism as an ongoing enterprise is so fragile (and yet so essential to American democracy) and partly because the story focuses on the most important yet most erratic politician in the country and perhaps the world. Moreover, adding complexity to the coverage is the eruption of social media websites that convey, among other things, information as “news” or something vaguely resembling news— sites such as Facebook, Google, YouTube, Twitter, and the like. These sites do not provide all of the news people need and use, but more people now depend on these sites for their news than on more traditional mainstream sources, such as local TV, national newspapers, and cable and broadcast news networks. It is unclear whether people who depend for their news on, say, Facebook are as well read and informed as those who depend on the Times and the Post, but, for the people who set the national agenda, whether politicians or journalists, the Times or the Post—or both—still are must reading. It is a safe bet that both the strategist who sits on the National Security Council and the editor of BuzzFeed or even Breitbart starts his or her day by reading the Times, the Post, or both.